Many families place their loved one in a nursing facility to ensure that they receive adequate around-the-clock supervision to minimize the potential of suffering serious injuries in a fall. Any lack of supervision and lack in taking appropriate security measures can fail the resident and cause a serious decline in their health and well-being. Unfortunately, Rosenfeld Injury Lawyers LLC have represented many residents who have suffered injuries and death due to the negligent actions of the nursing staff, Administrators, Director of Nursing and others in charge of providing the resident care. Unfortunately, Licensed Practical Nurses and Certified Nursing Aides at many nursing facilities do not receive appropriate training or receive proper levels of education to maximize the care and hygiene assistance they provide every resident. A lack of appropriate supervision caused by minimal staffing, overcrowded conditions or outright negligence can result in serious injuries or unexpected death caused by falling. On a regular basis, the federal government and the state of Illinois routinely update their nursing home databases to reflect currently opened investigations, filed complaints, safety concerns and health violations of facilities throughout the United States. The updated information is usually posted on numerous websites including Medicare.gov, on their comparative star rating summary system analysis tool. The state investigator noted that the resident listed above had a 08/18/2015 Fall Prevention Care Plan they categorized the potential for suffering injury/trauma along with a “history of fall, poor safety awareness, poor/decreased balance and coordination, needs assistance with activities of daily living (ADL) and multiple medical diagnoses. 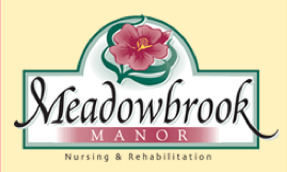 if someone you love has suffered serious injury or unexpected death while residing in any Illinois nursing facility including Meadowbrook Manor, Rosenfeld Injury Lawyers LLC can provide you with legal options on how to file a case for financial compensation. Our Will County elder abuse attorneys understand that no action can bring your loved one back. However, we can build a case to hold those who caused your loved one harm financially and legally accountable. We encourage you to contact our Bolingbrook Illinois nursing home abuse law firm today at (888) 424-5757 to schedule a free case evaluation. No upfront payment is required because we accept every nursing home abuse case through contingency fee agreements.